Jaden will technically be in the 7th grade next year, so his 2009-2010 homeschool curriculum has changed substantially from last year; he'll be doing much more of his work independently. 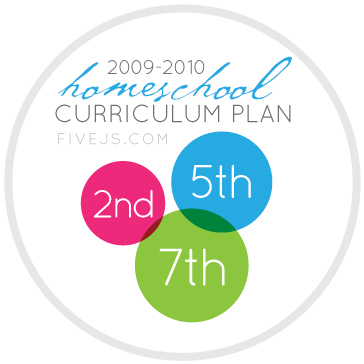 Here's his curriculum plan for 2009-2010. 1. Grammar & Writing: Rod & Staff English 7 — Jaden began Rod & Staff with book 6 this year, and we have both fallen in love with this curriculum. It's easy to teach, requiring no teacher prep, and the lessons are succinct and provide a substantial amount of review. 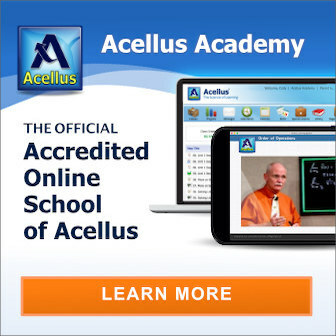 It's an excellent grammar program that I cannot recommend highly enough. Our grammar lessons usually take 10-20 minutes to do together, 4 days a week. I don't assign the written work every day, but when I do, it usually takes 10-15 minutes to complete. I currently use Rod and Staff for all three of my kids, and I plan for each of them to continue through Rod & Staff English 8. I wrote a review about Rod & Staff English here. 2. 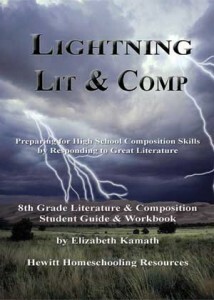 Literature: Lightning Literature and Composition 8 — Jaden is finishing up most of his Lightning Lit 7 this year. It was his first year using the curriculum. Reading is not his favorite subject, but he has admitted that he has learned a lot using Lightning Lit. He'll finish the last section of LL7 next year and then start on LL8. Jaden does the reading and worksheet assignments mostly on his own, but we discuss the lessons for each unit together. 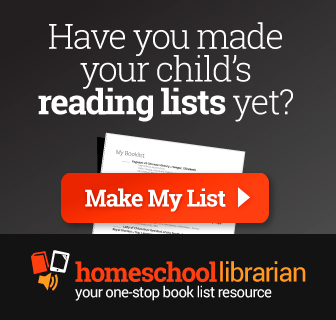 The time he spends per week varies depending on whether he's doing reading or the assignments. He'll probably spend on average about 2-3 hours a week on this. 3. 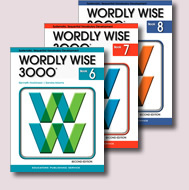 Vocabulary: Wordly Wise Book 7 & 8 — We were lucky enough to discover Wordly Wise our first year of homeschooling, and we've been using it ever since. This is yet another curriculum that does not require teacher prep, and in fact, Jaden does practically all of it on his own. I'm not a big fan of tests, but I do have my kids do all the tests for Wordly Wise (there's a separate test booklet that's available). The tests are very well-written and do an excellent job testing comprehension of the vocabulary. Most of the daily assignments can be completed in 10 minutes or less. The narratives at the end of each lesson take a bit longer, but I assign them over the course of two days. Jaden is finishing up the first half of Wordly Wise 7 this year, so next year he'll be doing the last half of Book 7 and the first half of Book 8. I assign words from Jaden's Wordly Wise lessons for spelling. He practices them daily using SpellQuizzer (I reviewed SpellQuizzer here). He and I both love SpellQuizzer as it allows him to practice much more quickly than with conventional spelling practice tests (SpellQuizzer usually takes him only 1-2 minutes a day), but he's also learning the words better. Add to that the fact that I no longer have to read off the words for him to practice and you can see why we love SpellQuizzer so much! 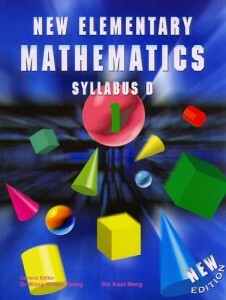 New Elementary Math 1 (Singapore) — We started using Singapore math the first year we homeschooled. Then after going through a couple levels of Singapore we switched to Saxon because I wanted "more review." Jaden completed 5/4, 6/5, and 7/6 before we realized that we hated the way Saxon presented concepts. And so we switched back to Singapore 6B midway through the 2008-2009 school year. We fell in love with Singapore again (and switched the girls back to Singapore at the same time) and we're planning to continue through NEM 4, Singapore's 10th grade math. Jaden is very strong in math, so I love that the Singapore curriculum really challenges him. According to (on p. 522), New Elementary Math books 1 through 4, could be listed on a high school transcript as Algebra I, Algebra II, Geometry, and Trigonomety/Pre-calculus. Exploring Creation with General Science (Apologia) — We've already completed several of Apologia's elementary science books: Exploring Creation through Botany, Zoology I & II, and Astronomy (we're actually finishing Astronomy right now), and we've really enjoyed them. This will be Jaden's first experience with this level of science curriculum, but he's excited about it, especially since he's decided that he's extremely interested in the biological sciences. Early American & World History (Beautiful Feet Books) — We fell in love with Beautiful Feet's history curriculum this year, so we decided to continue with the same publisher next year. We've really enjoyed learning about Egypt, Greece, and Rome through literature; it's really make the story of history come alive for all of us. I had originally planned to have Jaden and Jerah do the same history curriculum next year, but then I contemplated the trouble that would arise when they both wanted to read their assignments at the same time. I didn't want to have to deal with that hassle, and I wasn't about to purchase a duplicate set of books, so I decided just to have Jerah do the Intermediate Early American History from Beautiful Feet instead. This year history took us about 30 to 45 minutes a day to read (I read everything aloud). But Jaden will be reading this on his own next year. He'll probably take 2 days to do each lesson so he's looking at 30-45 minutes of independent reading 4 days a week. — Last year Jaden and Jerah worked their way through Latina Christian I as our first introduction to Latin. We had planned to move on to LCII this year, but Jaden struggled a lot at the beginning of the year with school in general, so we decided to drop Latin this year and focus on more of his core courses instead. We've been blessed in that Jaden's whole attitude about school has improved drastically in the last few months; I think taking a step back from some of the "extra" courses really helped. I wanted to start a full-blown foreign language curriculum for the kids this upcoming year, and I had planned to just do Rosetta Stone Spanish with all three; but Jaden didn't seem very excited about the prospect. When I told him he could choose a different language to study if he liked, he got really excited and asked to study Latin. I was taken aback at his response, but he was totally serious. So I started researching Latin curricula again. I wasn't eager to pick up Latina Christiana again because, although it's generally a good program, it's very grammar-based, with lists of independent vocabulary words and tables of declensions to learn without any context. Through my research of Latin programs I discovered that what I was looking for was a reading-based program, and Cambridge Latin Course was the curriculum that captured my interest. I've purchased the student book, the omnibus workbook, and the teacher guide that go with the course. I'm also excited about the online practice modules for each stage in the course that are available through the Cambridge Latin Course website as well as the collection of flashcards already created for the entire Unit 1 book on FlashcardExchange.com. I don't know for sure how long each day we'll be working on Latin, but from what I've see so far it'll likely be 15 to 30 minutes. I plan to take a whole year to finish this Unit 1 book. — Last year we read through and thoroughly enjoyed it. The Thinking Toolbox is essentially the sequel to The Fallacy Detective. We'll be reading through one short lesson per week which will take 10 to 15 minutes. The Fallacy Detective is generally recommended for ages 13 and up, but I found that my kids understood it fine at ages 8 and 10. Had they read it when they were older, I'm sure they would have gotten even more out of the book, but it was still a very worthwhile read. My kids still point out logical fallacies because of what they learned in The Fallacy Detective. I'll be reading The Thinking Toolbox to all three kids, even though Joely, my 2nd grader, obviously won't grasp the concepts as well as the older ones. 1. History: The History of Classical Music (Beautiful Feet Books) — We're spreading this curriculum over two years, so it will likely take only 15-20 minutes a week. All three kids will be doing this curriculum. 2. Theory: Basic Music Theory: How to Read, Write, and Understand Written Music — I'll be spending about 15-30 minutes a week going over basic theory with all three kids. 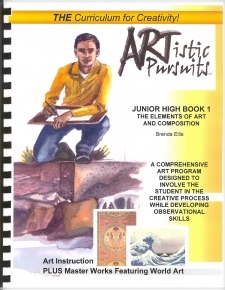 Artistic Pursuits (Junior High Book One) — I purchased this book used earlier this year and Jaden has already finished about half of it, so he'll finish up the second half next year. He's always loved to draw, and he's enjoying the freedom he has with this curriculum. He is going through the book independently, spending about 10-15 minutes a day on it. Next year we'll probably follow the same type of schedule. This is very impressive! I appreciate your sharing the information on your curriculum and the reasons you chose what you chose. Oh man. Maybe I should make more of a plan. I'm normally a big planner, but worry that if I do too much too soon…I'll burn out. 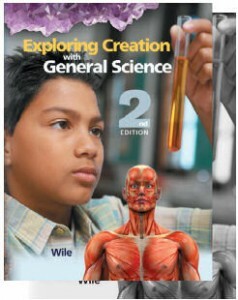 Glad you've enjoyed the Apologia elementary science, Joy, and hope General Science goes just as well for Jaden. Thanks for the good report! 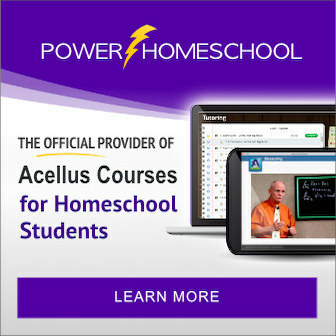 Your readers can reach our webpage directly at http://www.apologia.com, and the elementary science can be found at http://tinyurl.com/apologia-elementary-science. How did you download the music theory book for free? Did they start charging for the download since you posted it? I can only view a sampling of the book. It looks like a great resource! I teach piano also. This is very informative. Thanks you for the resources and reasons for using them. 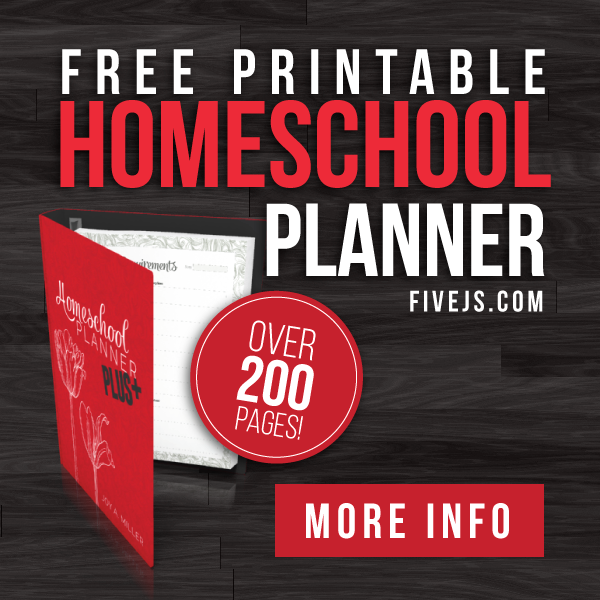 I am just starting to plan homeschooling my soon to be 7th grader after 6 years of public school. This is very helpful…. I know you posted this a long time ago, but I just came to it from a link from your post about what you're doing for 10th grade with your son. Thanks for this! My son will be in 7th grade next year, and seeing what you did with your son was helpful. I found a very neat site called drawspace.com. (I probably found it on your website!) I'm artistic and thought I'd be a natural art teacher to my son. I am NOT. You've given me so much help, I thought I'd share something back. And, if this site came from your site, my apology! Your work is wonderful and your heart is, too. 🙂 Not sure if you found DrawSpace.com from my site or not, but I have mentioned it on here a few times. Glad you like it!